There is NOTHING generic, mundane, or unimaginative about our journeys. 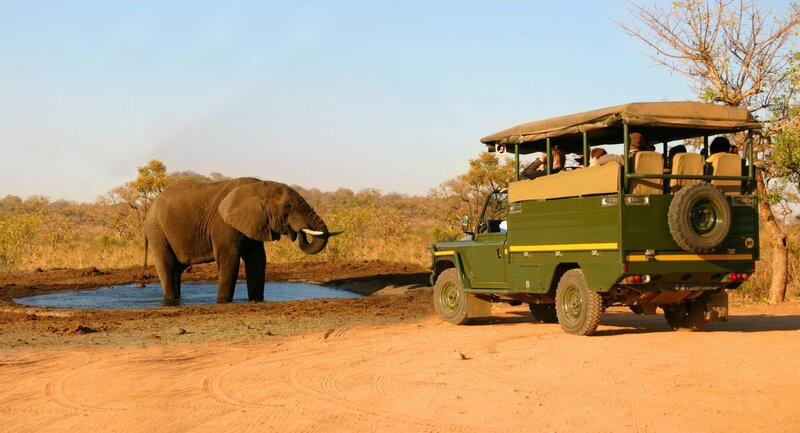 Begin your journey with wildlife photography safaris in 4X4 jeeps or specially outfitted minivans (our exclusive tours get up close and personal with “The Big Five.”) Dust off and add a wine and culinary tour or a refreshing beach holiday. Mix it up a little and you can embark on a walking, boat or canoe safari. Kick those heels and mount yourself on a rare treat of experiencing safari on horse-back. 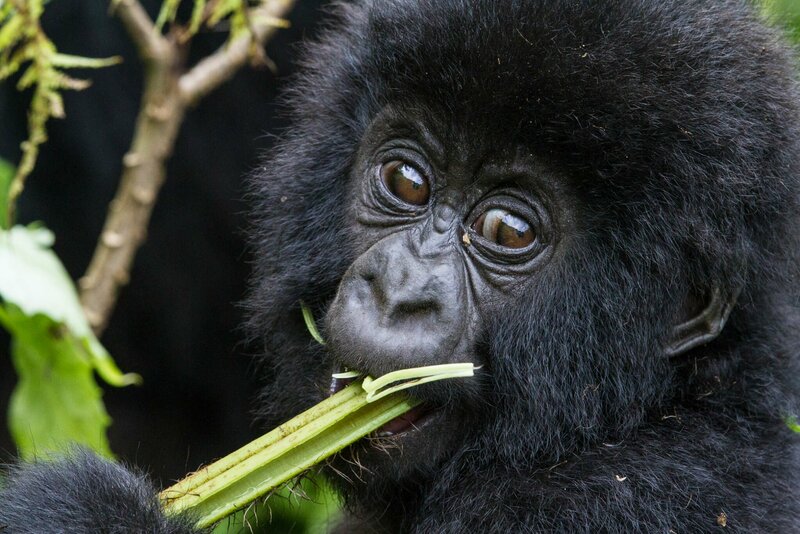 You may have an inner voice calling for more thrills, and you may desire to venture into the mystery of the African rainforest to track an endangered family of mountain gorillas, getting up close and personal enough to see human-like intelligence in their eyes. If you find aerial view photographs stunning, why not experience the beauty of a hot air balloon safari in the Serengeti? Whatever your heart desires, Africa holds it. And Fair Trade Safaris is dedicated to making your experience of Africa’s beauty and wonders breathtakingly memorable. Each of the destinations that we specialize in has its own unique and inspiring activities, journeys, and adventures. Fair Trade Safaris donates 100% of its profits to a variety of fully-vetted wildlife conservation, community development, and social impact projects. 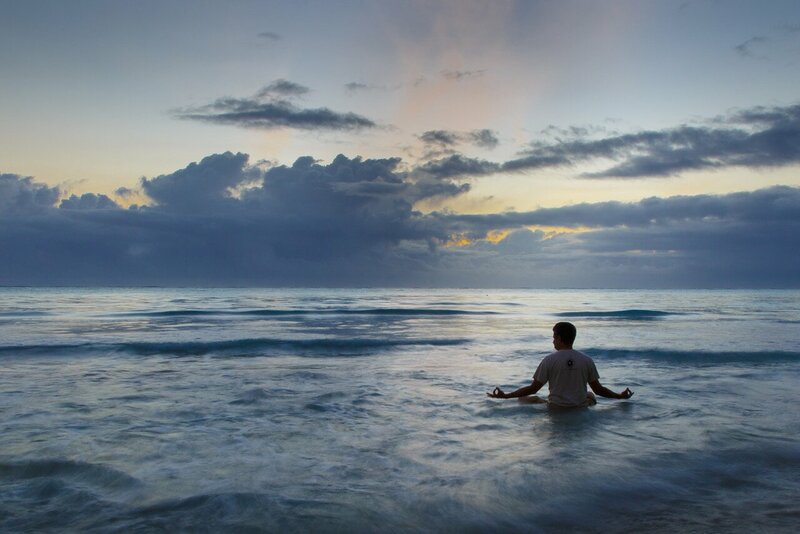 Nestled in East Africa surrounded by beautiful coasts, lakes, mountains and game parks, Tanzania awakens ones soul. Home to the sweeping plains of Serengeti National Park, Ngorongoro Conservation Area and Lake Manyara National Park, the “big five” (elephant, rhinoceros, buffalo, lion, and leopard) make this a mecca for safaris. Peering over Tanzania at 19,341’, Mt. Kilimanjaro’s three majestic volcanic cones, “Kibo,” Mawenzi,” and Shira say “Jambo.” Tanzania is an ideal destination for those looking for a trekking challenge or a spectacular safari excursion. Stop by Arusha to relax and shop in luxury for Tanzanite, the blue violet gemstone native to Tanzania. Or, relax, sip and sample local coffee. 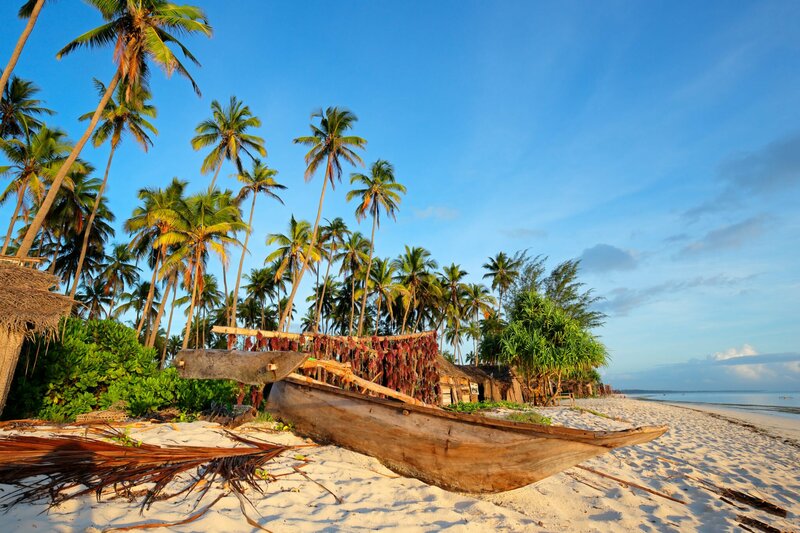 Sail to Zanzibar for cultural immersion and satiating lazy beach days. Mt. 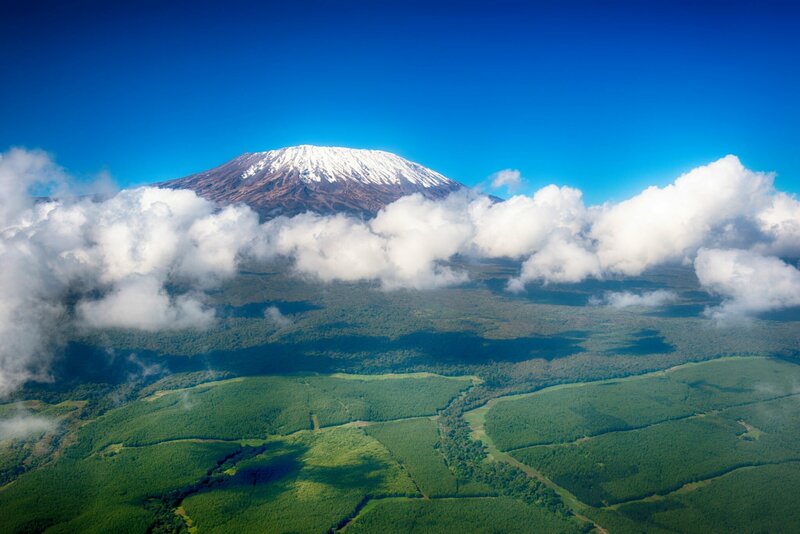 Kilimanjaro is the highest mountain in Africa – hence its nickname, “The Roof of Africa”. As such, it is part of The Seven Summits – composed of the highest mountain peaks in each of the seven continents. It is also one of the largest extinct volcanoes and the highest freestanding mountain in the world. On a clear day, this majestic mountain can be seen from more than 100 miles away. Its peak is permanently covered in snow, even though the mountain is located only 3 degrees below the equator. There are actually two peaks: Mawenzi (5,149 meters/16,893 feet) and Kibo (5,895 meters/19,341 feet). Climbing Kilimanjaro is a recognized achievement – on several people’s bucket lists and a huge feather in the caps of those who summit it. 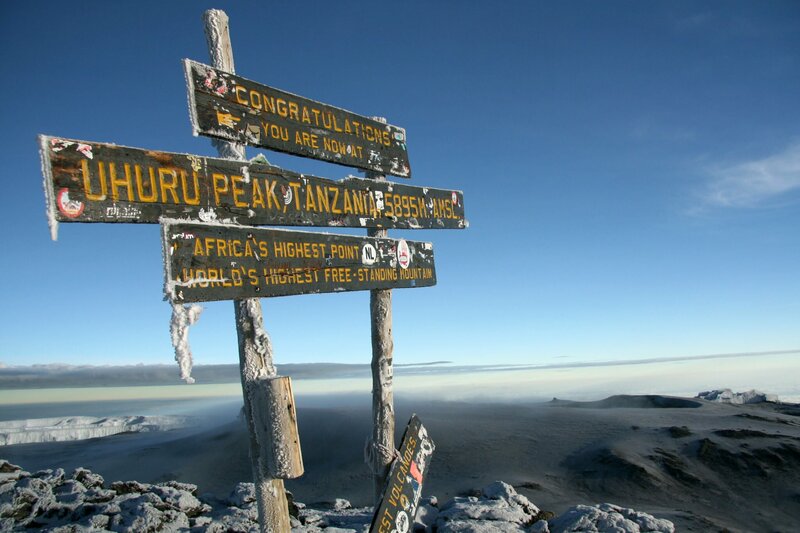 The Kili climb can be done by any physically fit person – no prior mountain-climbing experience is necessary. The total climb time (ascent and descent) varies depending on the route taken. Fair Trade Safaris leads expeditions to the summit of Kilimanjaro throughout the year, although April and May (during the long rains) are not the most ideal months for a climb. The best months are January to February, and July to October…these are the months when one usually experiences cloudless days. But as with anywhere in the world, weather is never predictable. Resting on the Indian Ocean’s coastline, Kenya’s vast landscapes of savannahs, lakelands and the Great Rift Valley boast a rich environment and unsurpassed viewing of the Great Migration. Sir David Attenbourgh poetically describes Kenya’s jewel. “And here we are, the birthplace of safari. The only place one can witness the greatest journey in the animal kingdom: the Great Migration. Imagine the sheer primal energy as hundreds of thousands of wildebeest and zebra make their perilous journey across the Great Plains. There really is, nothing else like it, on planet earth.” Thank you, Sir David, couldn’t have said it better ourselves! With outstanding scenic beauty and wonderful climate, South Africa is a unique eco- tour destination filled with an intriguing blend of Eastern, Western and African cultures. Known as the “Rainbow Nation” the kaleidoscopic wealth of ethnic traditions combine to build a united nation for all to share. 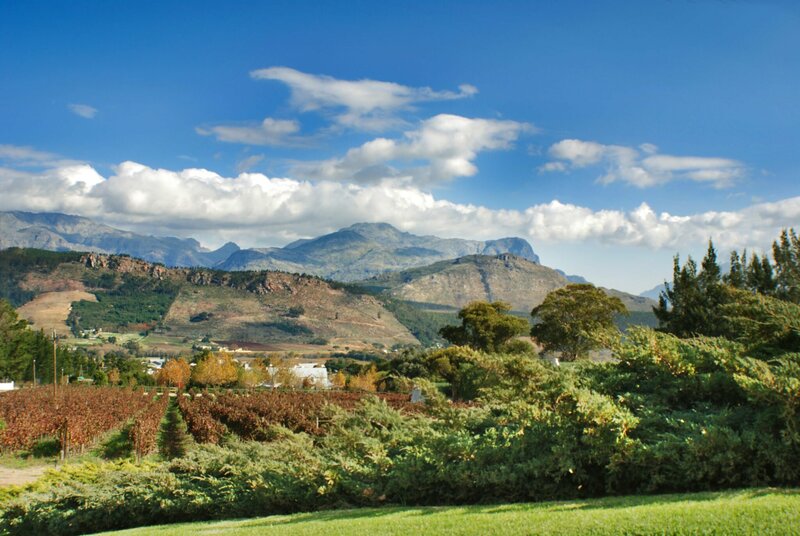 South Africa offers the highest standards of tourism facilities in Africa, catering to every type of visitor. You’ll find superb hospitality in luxury hotels, small guest houses, rustic camps, game lodges, offering incredible value for money. Botswana offers unprecedented safari options in what some would say are the world’s very finest wildlife reserves. These include the Okavango Delta and Moremi Game Reserve, fanning out across the North-Western corner of the country. Waterways and seasonal flood plains create a wonderful landscape of islands and lagoons full of wildlife, which you witness from above as you fly on a smallplane into your remote safari lodge. The Chobe River is the lifeline of Chobe National Park supporting great concentrations of animals in particular elephants. Namibia is a country of startling contrasts – not just because of its astounding natural wonders, but also for its widely differing people. Seeing a Herero women dressed in floor length Victorian gowns adopted from German missionaries is mesmerizing. 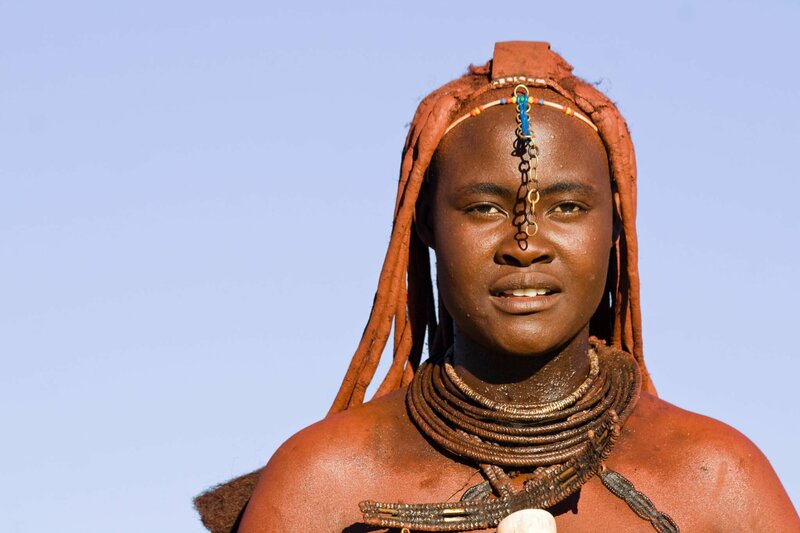 In contrast, walking past nomadic Himba women covered in glowing ochre layered only in a loin cloth is a stark contrast to comprehend. The cultural diversity, vast wildlife and beaches on the Atlantic Ocean make Namibia irresistible. Zambia is known for offering a “walk on the wild side”. Vast areas are set aside for wildlife preservation, and you get to experience real, authentic safaris here. South Luangwa is a top choice, and Zambia is where walking safaris first started. 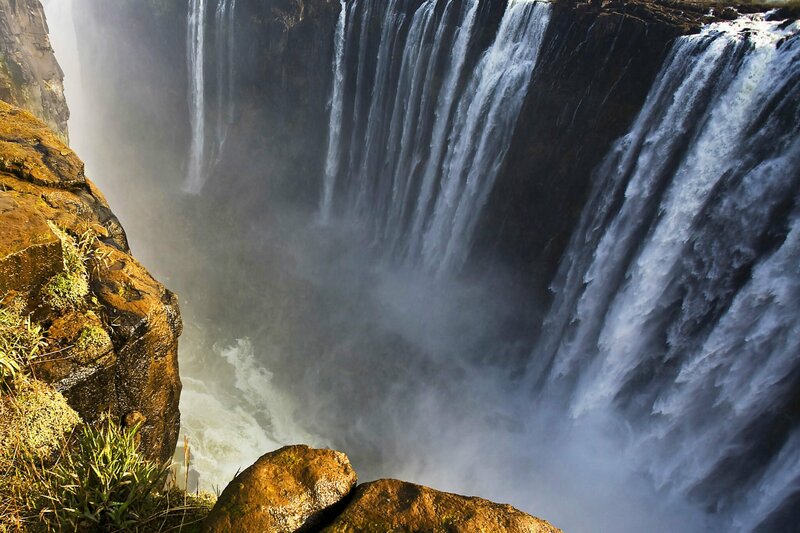 Its national treasures include rough terrain, deafening Victoria Falls and the Zambezi River. 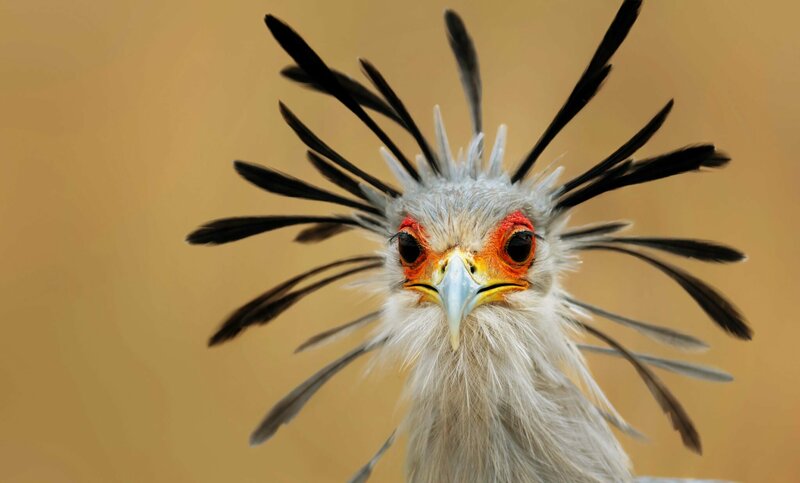 It’s also home to some of the most highly-awarded and respected guides in Africa. 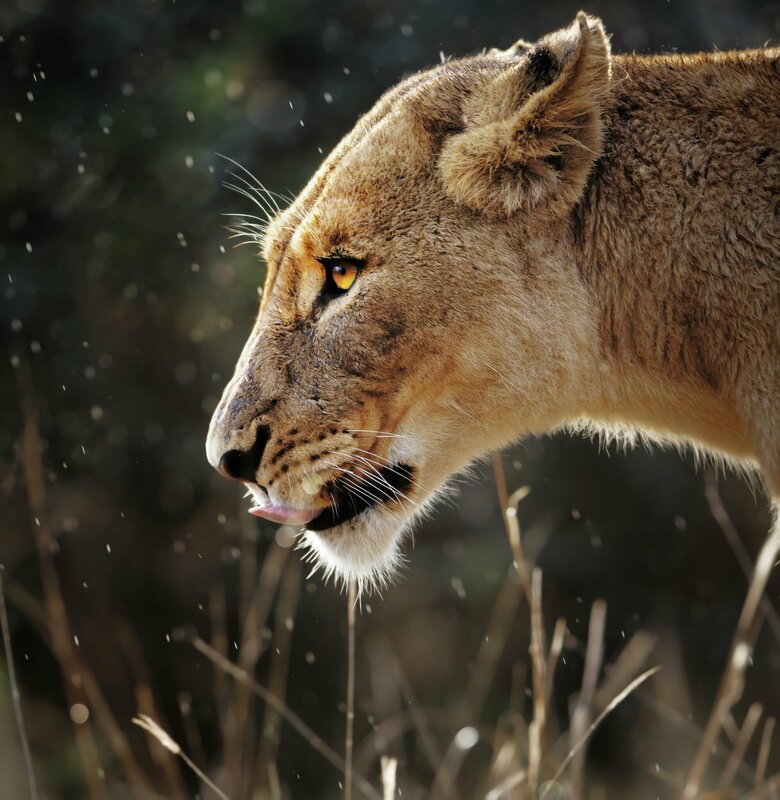 Allow the highly regarded guides to lead you on a traverse through Zambia showcasing natural beauty and wildlife such as the elusive leopard. Zimbabwe’s game parks and natural wonder Victoria Falls keep it a desired destination among expert travelers. A chosen few of South Africa’s most prominent safari lodge companies have invested in Zimbabwe and built impeccable accommodations in the most desired locations. Given the country’s troubled past, and efforts to regain its zeal, Fair Trade Safaris supports the people of Zimbabwe. Include this country in your itinerary and let us guide you through this vast land- locked landscape, and discover the wonders of viewing beautiful wildlife such as hippos, rhinos and birdlife. Trekking through misty forested volcanoes and rainforests, Rwanda’s mysterious surprises will heighten your senses. Volcanoes National Park is home to mountain gorillas and golden monkeys. Nyungwe National Park is an ancient rainforest home to chimpanzees and other primates. Swinging, playing and resting in the trees you will see rare and up close primates, an experience not available anywhere else in the world. East Africa’s country of Uganda hosts a diverse landscape of rugged valleys, mountains and waterfalls. The snow-capped Rwenzori Mountains, Lake Victoria, and Mountain Gorilla sanctuary in Rwindi Impenetrable National Park (an UNESCO World Heritage Site) lend themselves to making quite a dramatic effect on visitors. Guests will have the rare opportunity to track gorillas in their natural habitat. When Portuguese explorers reached Mozambique via the Indian Ocean in 1498 AD, Arab-trading settlements had existed along the coast and outlying islands for several centuries. Later, traders and prospectors penetrated the interior regions. Although both Portuguese and Arabic influences have gradually diminished, there are still traces of the ancient cultures. Mozambique’s luxurious accommodations along Tofo beach allow travelers to unwind and immerse themselves in ultimate relaxation. The vast coastline houses offshore marine parks and coral islands. Imagine discovering and unearthing colonial area ruins as an archeologist would at sites such as Ibo Island. And, diving among reefs that protect rare marine life such as dugongs. For some 60 million years, Madagascar has been the only home for lemurs. It is the only location in the world that you can view lemurs in their natural habitat. Approximately 160 million years ago Madagascar broke away from the Gondwanaland supercontinent, which means it has had plenty of time floating out there in the Indian Ocean. Madagascar offers an amazing swirl of diversity for the outdoor adventurer: rainforest, desert, hiking and diving. a. Mauritius’ abundance of lush rainforests, refreshing waterfalls, rugged hiking trails and wildlife is why guests love the island. 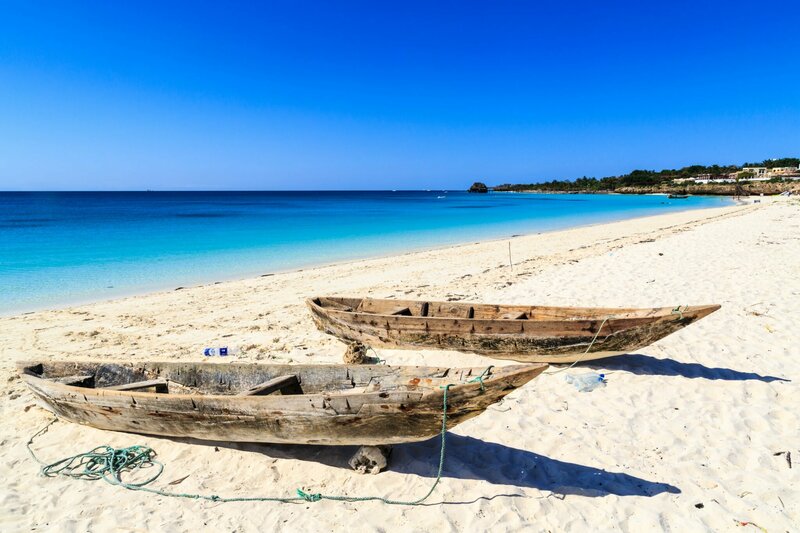 b.Zanzibar is a Tanzanian archipelago with Swahili and Islamic cultural history. Walk through Stone Town, an ancient trade center. Be charmed by its winding labyrinth- like streets, artisan carved doorways and a former sultan’s palace. Sail the Indian Ocean in a traditional Dhow sailboat. c. Powdery soft sand beaches, gem colored water, coral reefs and nature preserves make Seychelles the enviable Indian Ocean island paradise experience. There are a total of 115 islands in this archipelago, many uninhabited and home to the rare giant Aldabra tortoises. Fair Trade Safaris’ travel experts and consultants are based both in the U.S. and Africa. 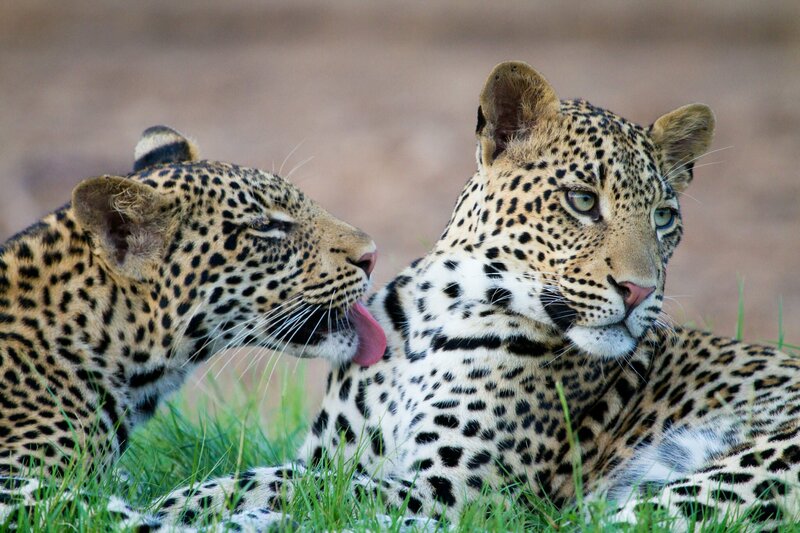 We possess a deep and personal knowledge of all facets of wildlife photography safaris, cultural excursions, adventure travel, family holidays, and couples / honeymoon trips at price points ranging from the Affordable Classic Luxury to the Opulent Ultra Luxury.